This is going to be my first half marathon... (insert blank expression emoticon here). I took a step back when I got an email from Charlie of Run Dem Crew and his powerful words made me realise I've been doing way too much and lost focus of why I'm doing this. It is supposed to be fun and a sense of empowerment but somehow it turned into a task where a sub 2 hour goal came out of nowhere. I forgot that doing my first half marathon was a Personal Best in itself... so don't judge me if you find out Laura carried me across the finish line! 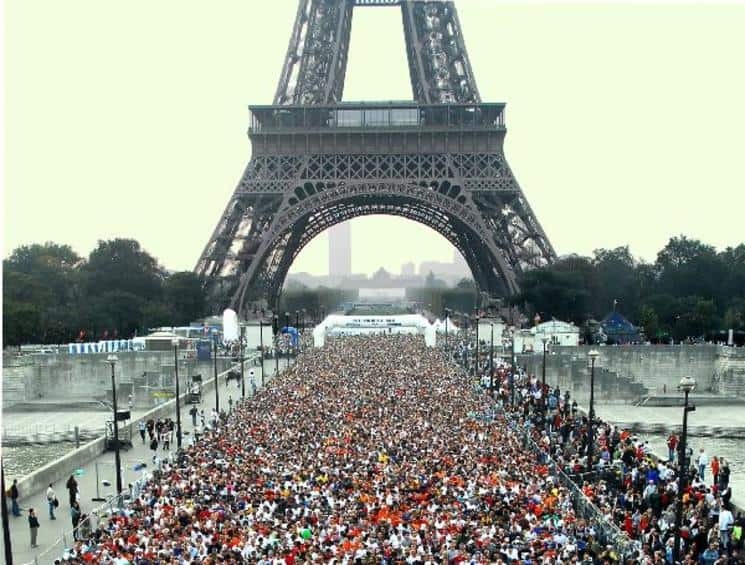 With that in mind I'm going to go and take in the vibes, feel the atmosphere, lace up and enjoy running in Paris.... I'm gonna go make every single one of those 13 miles mine - wish me luck! Food & Lycra Run Paris, BRB!